Late Indian summers seem to be a frequent forecast for Britain meaning many people are leaving their boats out on their moorings for 99% of the year. But even if you do that, you still need a month to do all the necessary repairs before the ‘proper’ sailing season starts. Costs soon start adding up when you have the lift to pay for along with the pressure wash, storage maintenance bills, antifoul and the re launch! 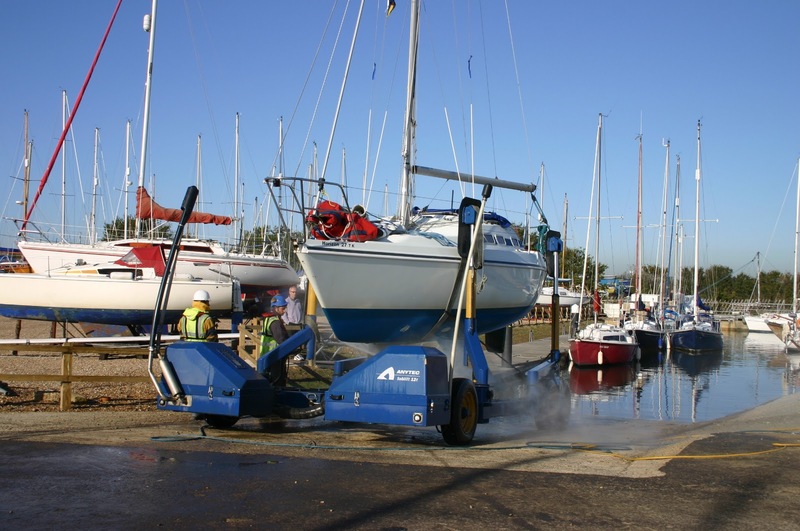 We here at Thornham are trying to save you £££’s by offering you our fantastic deal whereby we will lift your boat with our state of the art fully submersible machine, pressure wash you clean, store you ashore for 30 days and launch you again. All you have to do is pay for the lift and the launch! Let’s see how much you can save. Based on a 9m boat this package should cost you £550.89. With our special deal all of that can cost you just £357.12. That’s a huge £193 saving! Another added extra we provide you with is a free taxi service back to your home port (within a 20 mile radius) so you don’t have to worry about cars being in 2 places. We want to save you even more money, book by the 22nd of December and we will hold our current rates meaning you won’t receive the VAT increase! 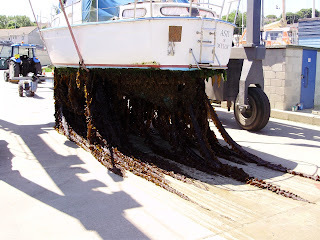 The season for applying antifoul is fast approaching us, but with typical English weather finding a suitable weekend to apply the antifoul can prove very difficult. That's why we here at Thornham Marina have created a great deal to save you time and money. 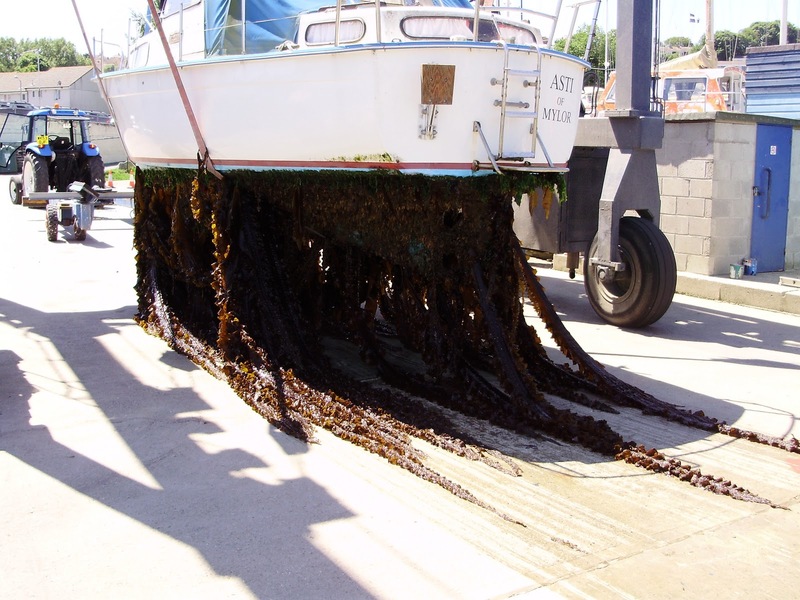 Call Courtney now on 01243 375 335 or email info@thornhammarina.com to find out about our superb antifoul deals we have running at the moment. You wouldn't want your bottom looking like this! Looking for undercover storage for your Power Boat, Motor Yacht or RIB that's 4-13 metres in length? Trafalgar Wharf in Portsmouth Harbour is just what your looking for! Trafalgar Wharf our new sister site has great news for you. Now you can jump in your car, call them from your mobile and minutes later get in your boat. Sorted. The Drystack at Trafalgar Wharf guarantees you UNLIMITED, convenient, hassle-free storage and launching of your boat. That’s because they stack your boat in their huge 70,000 square foot Aircraft-Hangar-Sized building, keeping your boat safe, secure and in tip-top condition. Today was one of our busier days of the year where we welcomed 16 boat owners back to Thornham for the winter period. The sun shone, the birds sang and there were lots of smiling faces. The boys were rushed of their feet as customers were coming up the channel left right and centre, the VHF was hot! A Fantastic Video Of Chichester Harbour, Including Thornham Marina! Here is a great video we found showing you just how beautiful Chichester Harbour really is, including Thornham Marina! Chichester Harbour - Why So Special? from Compulsive Productions on Vimeo. If you would like a berth at Thornham, located at the top of Prinsted Bay please call Courtney or Jeanette on 01243 375 335 or email at info@thornhammarina.com.